How do you sow Milkweed seeds? Fall is here and it is a great time to sow milkweed seeds for bloom next Spring! You can find these seeds at your local nursery. Please make sure they are not infused with pesticides so the flowers don’t defeat the purpose of their existence, to feed and sustain the lives of Monarch butterflies. Milkweed feeds butterflies (Monarch are the most well-known milkweed enthusiasts), houses their eggs, and feeds the young caterpillars. It is very hard to find Milkweed in our landscape, and butterflies are struggling because of its disappearance. 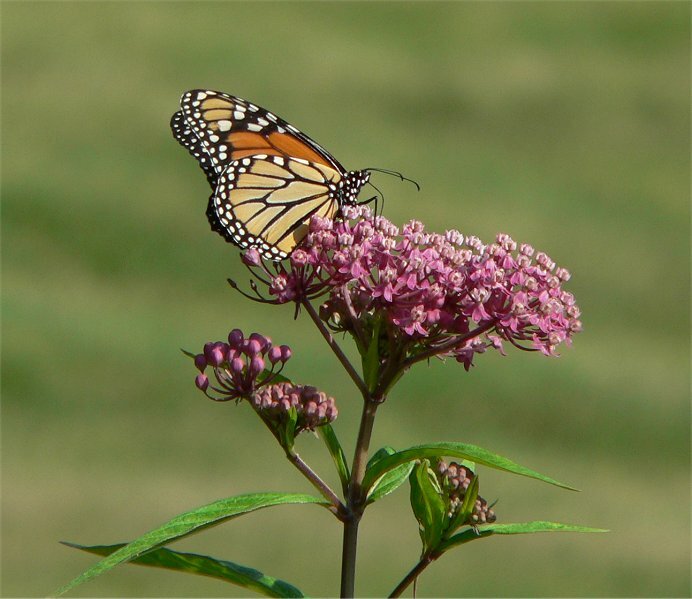 If you fancy sowing flowering seeds, please do sow some Milkweed for butterflies. Your yard will come to life! Milkweed is a species of plants whose seeds need cold treatment or stratification. This is important for the coating on the seed to open up and allow for germination to occur. Seedlings sometimes will not germinate due to warm temperatures, which is counterintuitive, but true. Plant these seeds in the fall to achieve successful germination in the spring and summer months. Planting in the fall allows for the seedlings to go through the cold treatment and stratification as Mother Nature would have it. Milkweed will grow best in lighter soil, not really dense clay, which we have a lot of in Highlands Ranch. You can lighten soil by tilling organic soil and compost into the clay. I have had pretty good success turning my backyard into a garden doing this. Milkweed loves sun, so find the sunniest part of your yard and sow the seeds there. Good luck and happy sowing! And, as always, thank you for being part of this very important movement!